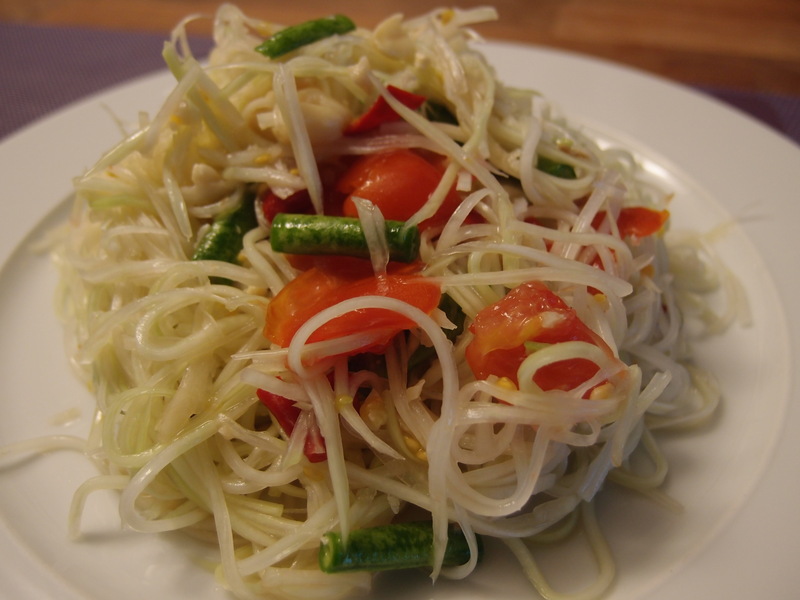 Had to shop at our local asian shop and I found a green papaya… inspiration! In a mortar put the garlic, the chopped chillies, fish sauce, tamarind sauce, the palm sugar and the lime juice. Grind until all flavours are well mixed. Add the tomatoes, crush the a little and put the mix on the grated papaya. Mix well and wait at least half an hour before serving.